India had barely become independent, in 1947, when Pakistan invaded Kashmir, which at the time was ruled by a maharajah. The maharajah fled, and the people of Kashmir, led by Sheikh Abdullah, asked for Indian help. 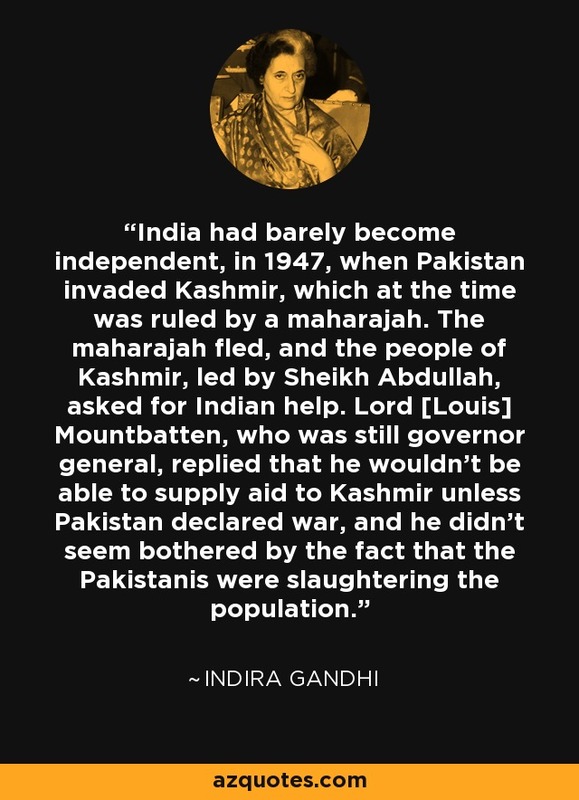 Lord [Louis] Mountbatten, who was still governor general, replied that he wouldn't be able to supply aid to Kashmir unless Pakistan declared war, and he didn't seem bothered by the fact that the Pakistanis were slaughtering the population.